Flaunting a style statement with fashion accessories makes both men and women stand out from the crowd. They compliment to the style with a great effect. If the fashion accessories are of jute, then it is just icing on the cake. Jute fashion accessories are a great choice for those who are looking for rich and sophisticated look with natural touch. These jute fashion accessories are perfect to match any kind of clothing. They are designed to add flair to the style by making them fit to be worn with any kind of outfit be it traditional or modern. They are environment friendly products highly demanded in the market for natural values and features. 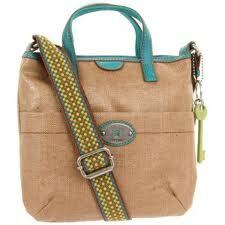 Jute is fashioned to design a wide collection of jute fashion accessories. The array includes jute bags, laces, ties, belt, buttons, jewelry chokers, hairpins, armbands, and so on. All are dedicated to increase the value, looks and beauty of the apparels whether they are simple or printed. When the natural tone of this organic fiber get mixed with varied materials, the end product is brilliant that appeals everyone. These jute fashion accessories can be ornamented with a number of exotic materials such as mirrors, beads, stones, bones, metals, leather, etc. to lend an incomparable look to them. These jute fashion accessories can be easily availed in natural shades like golden brown, off-white and in varied vibrant colors after bleached, dyed or treated. In addition to colors and styles, they can be availed in different sizes to fir to any style of clothing. Designed from strong and durable jute yarn, they are characterized by highly sturdiness. 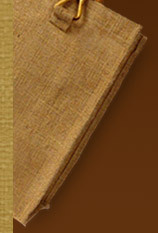 These cost effective jute fashion accessories are easy to clean and maintain that provide high performance for years. With their eco friendly attribute along with unbeatable designs, they have become the prior choice of nature as well as fashion lovers.